Richard Kiley was the first to sing and record The Impossible Dream when he first portrayed Don Quixote in the Man From LaMancha. He starred in my favorite episode of "Columbo". These CBSRMT episodes are a treasure. 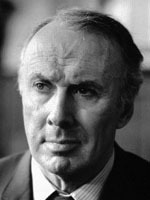 Richard Kiley was a first rate actor. A man of enormous talent on Broadway, movies and TV. I really loved and respected his work. I wish he had done more CBSRMT shows. He was excellent in Radio Mystery Theaters "The Cask of Amontillado". Yes Julie I agree. He was so sinister in that episode. He had a wonderful voice as well. That was a brilliant performance! He was mostly know for his role of Don Quixote in Man of La Mancha. He was in only two episodes of CBSRMT, but one was the Poe story A Cask of Amontillado in which he was superb. That was Richard Kiley's brilliant performances. Richard Paul Kiley (March 31, 1922 – March 5, 1999) was an American stage, television, and film actor. He is best known for his distinguished theatrical career in which he twice won the Tony Award for Best Actor In A Musical. Additionally, he won three Emmy Awards and two Golden Globe Awards during his 50-year career and his "sonorous baritone" was also featured in the narration of a number of documentaries and other films. Kiley's work on stage included Kismet, No Strings (which was Richard Rodgers's first stage musical after the death of Oscar Hammerstein II) in which Rodgers wrote both music and lyrics, the Buddy Hackett vehicle I Had a Ball, and the lead roles in Redhead, Man of La Mancha, and the play The Incomparable Max. Kiley won three Emmy Awards and two Golden Globe Awards for his work in television. He won both an Emmy and Golden Globe awards for The Thorn Birds (as Paddy, Rachel Ward's father) (1983) and A Year in the Life (1986, 1987–1988). His third Emmy win was for Guest Actor in a Drama Series, for an episode of Picket Fences. Other television work included as the murderous police commissioner on Columbo (1974, the episode "A Friend In Deed"), his appearance as Gideon Seyetik in the Star Trek: Deep Space Nine episode "Second Sight", as well as guest roles on Ally McBeal, Hawaii Five-O, and Gunsmoke. He narrated the award-winning seven-part 1986 PBS documentary Planet Earth. In 1993, Christian filmmakers set out to make a Jesus film which would be a Word-for-Word of the Gospel. Kiley was chosen to do a narration style film as the Apostle Matthew in his latter days. He is seen doing many flashbacks as Matthew in the days when Jesus walked the Earth. From 1994 until 1998, Kiley narrated the A&E documentary television series Mysteries of the Bible. His final acting role was in the 1999 TV movie Blue Moon, which debuted the month after his death.